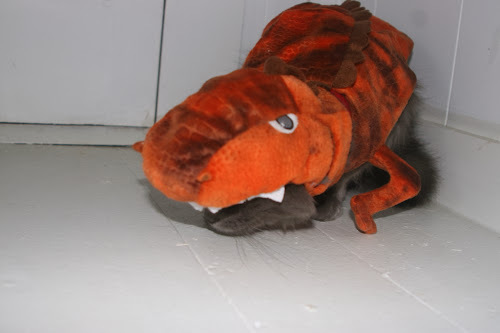 Today, octogenarian cryptozoologist, Mavis Mathilda Monroe captured and photographed Teddysaurus Rex. 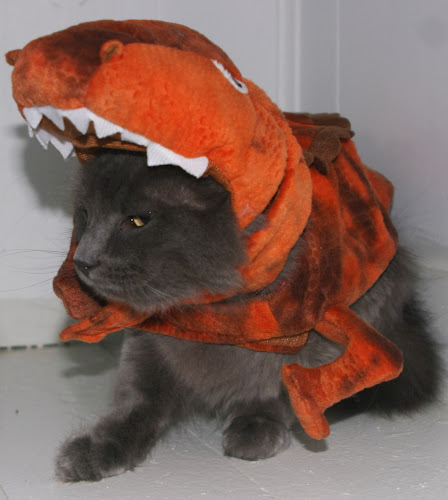 Thought to be myth, the Teddysaurus Rex was often reportedly seen during the week of All Hallows' Eve. A voracious eater, the Teddysaurus Rex is very fond of Honey Barbecue Fritos. When asked about her discovery, Ms. Moore said, "Happy Halloween."